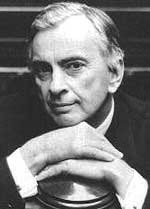 "I'm the perfect example of censorship in USA"
Michael March interviewed Gore Vidal for the Prague Writers' Festival on 7 March 2001 at the Plaza Hotel in New York. Talking about the rather invisible and efficient oligarchy in America, do people really have any concept of its existence? James Madison, who is very much the creator of our Constitution, said: "Never forget that the iron law of oligarchy always obtains; few people will always run everything, no matter what the institution or what the country." The Constitution was carefully arranged for white men of property, since then the franchise has been extended to the young, the black, the female, but because the sense of our oligarchy is everywhere, people don't know about it, they have no place to find out. When we decided to become a global empire after the war, it was Harry Truman who decided to drop two atomic bombs on Japan and make us a national security state and a militarized economy. Our citizens were not advised, they still don't know. They still think that it's a free, open country, but we decided to stay armed and to be involved in every country in the world. And that was their decision and who are they? They are traditionally the very wealthy, the one percent that my cousin Albert dared mention at one point in the campaign as owning practically all the property in the country. The one percent dominates. They reign through twenty percent of the country who are doing very well. These are the prosperous people who we read about, these are people that are put in Congress and in the White House. Eighty percent of the people are doing very badly and are rather poor. You have mentioned President Truman's decision to drop the bomb, but there were other people behind Truman. Was Truman a stooge of a greater force? So on the one hand you have the pressure of the military, who had developed at Los Alamos these extraordinary weapons, which they wanted to test; and on the other palm, Truman vacillated seeing that it was going to change the nature of warfare, knowing perfectly well the Japanese were defeated. So we made a big deal over "unconditional surrender". As it turned out, Japan completely collapsed after two bombs, but it was interesting the extent to which Eisenhower denounced it publicly. Admiral Nimitz, the great figure in the Pacific, denounced it. Curtis LeMay, who as a war-lover liked to blow-up everything, denounced it. All said the same thing: we didn't need it. And why use it twice? They were going to surrender. I don't think there was one single General Officer in that war who approved of it, and they all went public very quickly to denounce their Commander-in-Chief Truman who had dropped it for one reason, which was to intimidate Stalin, keep him out of the Pacific war, let him have no share of the peace that we were going to impose on Japan, and just keep him nervous. And it worked. Then a year or two later we divided Germany, taking the best part for ourselves, and made Stalin the world's enemy to justify our military build-up, which then started all over again and continues to this day. How do you see the occupation of eastern europe, the bent line of Stalin through Brezhnev? Well, having been a Russia-watcher all my life, I mean back to Peter the Great, their policies have always been reactive. And reactionary. They were so terrified, having been invaded quite a few times from the West, they felt quite naked there. We promised 20 billion dollars worth of reparations at Yalta and re-confirmed our promise at Potsdam. They never got it. We said that we would include them in the Marshal Plan. We didn't. They took the position that we had declared war on them, by the division of Germany and by the re-arming of the Germans. That was the red flag that really scared them. So then they tried to get us out of the Berlin, that failed, then later they tried the business of the air-lift and that failed. They then began to collect the border states, as buffers. Yes, they behaved very badly to the buffer states. They moved in. There is this story of Czechoslovakia and that bone-headed Ambassador Steinhardt who made every error on earth in dealing with the Russians. We could have kept Czechoslovakia from Russia's grasp, but he made a series of wrong moves and no-one knows the true story. They were going to make sure that they controlled a row of states in eastern europe. They also needed to steal money and manufacturing plants, as they didn't have anything left. When they left central europe to gradually return to their homeland, they didn't have enough trucks and tractors, so they used horses to pull their cannons back into holy Russia. They were that poor and that knocked down after loosing 20 million people. So the fact is that they were paranoid and behaved extremely badly with their satellite countries, and we behaved rather better with ours, because we were much richer and it was easier for us to bribe the Italian communist party than it would have been to send troops there to shoot communists, which the Russians would have done. So each behaved according to his financial capacity. Was the cold war a complete illusion? No, it was a complete fact. But it was based on an illusion that the Russians were coming. This was the propaganda that never ever let up. Until finally Gorbatschev dissolved the whole story. We had maintained the myth in order to keep fifty-one percent of the US budget for a military which has no enemy. And they're going to increase it and increase it. We have a junta now running the country from the Pentagon. Vice-President Cheney is our Bismarck, he is the Chancellor; Rumsfeld is his side-kick at the Defense Department; Collin Powell is from the military. It's a total Pentagon government dedicated to more and more weapons and more and more enemies. There's Kaddáfí one month, Saddám the next. As Charles A. Beard, our great historian, said: "America's post-war policy is very clear. The United States is dedicated to perpetual war for perpetual peace." And that's what we've been doing for sixty years. We've lost the educational system for the general public. No health care, civil liberties are diminishing, and government harassment is more intense than anywhere other than in a pure communist state, where it is easier and cheaper to control people. We have mandatory blood tests, urine tests in the work place. We are at war with drugs, which means that we can arrest anybody anytime we feel like it, and we do. We have 6.6 million people in prison or in correction, as they call it. That's three percent of the adult population. We build more prisons in the United States than we do schools, and the schools that we have are a wreck, as far as educating the general public. Those of us who belong to a somewhat higher class have a better educational system, but much more subtle indoctrination. I wouldn't mind a little more assistance, yes. I forgot who it was in the nineteen century who said that Intellectuals are the only élite, the only minority on earth, that wishes to extend its ranks. Most élites want to shrink themselves, so that they would have more to themselves. We are the only ones who want more and more of us, not less and less. But our system, that oligarchy we have been talking about earlier, is totally efficient. For instance, throughout the fifties into the eighties, I was a fixture on national television. When they wanted a liberal voice, or whatever adjective was in use at the time, they turned to me. And I had a considerable following. I even had my own program for a while. By the Reagan revolution, coup d'état, I had been erased from television. No way. They know that when I am on, when I speak out, I attract large crowds. The press won't report it, television is shut to me, I've been erased. Noam Chomsky never had a chance, he never had a great public, but I had one through my books and movies and plays and of course essay writing. Now I am no longer a guest on anything where I might cause trouble, where I might say something that they would find embarrassing, which would be practically anything I would say about how the country is run. So I am the perfect example of censorship in the United States. Yet you have not been destroyed. Well, I think I'm tougher than most people, and I find ways of getting through. And I connect with a very large audience. A majority of the thinking people of the country, and that must be five percent, are with me and they support me. They buy the books, they come to hear me speak. I am too difficult to catch. I am a member of the ruling oligarchy, and I am sort of off-limits for them. That doesn't mean they won't quietly try to destroy a book, give it terrible reviews, denounce me here and there and everywhere, and try to create an image of me as the great Satan. That goes on all the time, but they do it to so many people that it doesn't really matter. After all they did it to Clinton, and he ended up more popular at the end of his administration than at the beginning.